…AND NO ONE NOTICED. FOR TODAY’S SOLDIERS, THE POSITION OF SERGEANT MAJOR OF THE ARMY APPEARS AS NATURAL AS A SQUAD LEADER. But 50 short years ago it was not so. It was on the Fourth of July 1966 that the Chief of Staff of the Army Gen. Harold K. Johnson approved the establishment of the position of Sergeant Major of the Army, and a week later on a reviewing stand near the Pentagon Mall Entrance the first enlisted man, Sergeant Major William O. Wooldridge, was sworn in as the first Sergeant Major of the Army. The sergeant major was a part of the fledgling Continental Army of 1775 and served at the head of the noncommissioned officers of the regiment. In Baron von Steuben’s instructions (the Blue Book) he noted that the sergeant major should be well-acquainted with management, discipline of the regiment and of keeping rosters and forming details. Though their numbers and placement would vary over the years, it took a cost-reduction measure by Congress in June 1920 to eliminate the grade of sergeant major when enlisted members were grouped into seven pay grades (E-1 through E7). 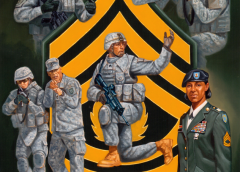 Though the position of sergeant major would informally be given to a senior master sergeant (E-7), it would not be until the Military Pay Bill of 1958 that created the “super-grades” that the grade of sergeant major was restored. 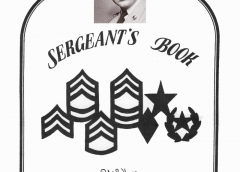 In April 1959, the first NCOs were promoted into the newly created rank. In May of 1966 Johnson notified the field commanders of the major commands that he intended to appoint a Sergeant Major of the Army and solicited their nominations asking that it be a personal recommendation and should not be considered a contest or retirement-type assignment. Johnson listed seven duties and functions he expected the sergeant major to perform, including service as a personal advisor and assistant to the chief of staff on those matters pertaining to enlisted men. Johnson whittled the 4,700 candidates down to 21 nominees and then selected the only one then serving in Vietnam, the sergeant major of the 1st Infantry Division, William O. Wooldridge. Wooldridge came to Johnson’s attention when he represented his division in an adoption ceremony in Birmingham, Ala., and was highly regarded by military superiors, contemporaries, and subordinates — and by the civilians he had come in contact with. A highly-decorated veteran of World War II and Vietnam, Wooldridge had served the majority of his career as an infantryman, with 16 years spent overseas. He was quickly dispatched to the Pentagon in Washington, D.C. Johnson signed General Orders #29 officially establishing the position of Sergeant Major of the Army on July 4, 1966, with a tenure to correspond with the Chief of Staff of the Army’s. Wooldridge soon arrived from Vietnam, still in his fatigue uniform, and reported to Gen. Johnson, who announced he was to swear Wooldridge in as the first Sergeant Major of the Army on the 11th of July. Wooldridge was to lay low until the official announcement and was fitted for a proper dress uniform. At 11a.m. on Monday, the Secretary of the Army, Chief of Staff, and other distinguished guests participated along with the ceremonial troops from the 3rd Infantry (Old Guard) in the official swearing-in ceremony of the first Sergeant Major of the Army. Gen. Johnson administered the oath to Wooldridge on the Pentagon Mall. This unprecedented position in U.S. Army history was given a full-court press. Special position quarters on Fort Myer, Va. were designated and refurbished for the senior enlisted man, along with an office in the Pentagon’s “E Ring,” which were to set an example that all Army personnel could aim for, the prestige of the position of the senior enlisted soldier of the Army. Since no special rank insignia had yet been developed, Mrs. Wooldridge and Johnson affixed to the sergeant major’s uniform a specially designed collar insignia. This new badge of the office, improvised by Gen. Johnson’s special projects officer, Col. Jasper J. Wilson, and approved on July 4, 1966, was devised by attaching the shield (minus the eagle) of the Aide to the Chief of Staff to a standard enlisted brass disk. The Sergeant Major of the Army was to wear a pair of these insignia in place of the branch and U.S. insignia normally worn by enlisted men. It would not be until the fall of 1978 that the Army would adopt a distinctive insignia of rank for the office. Since that July day 50 years ago, 15 of the most qualified senior noncommissioned officers have held the top position within our Army. Since the establishment of the position of Sergeant Major of the Army they each have been working to refine and bring professionalism to the NCO Corps, and refining the focus of the Office of the Sergeant Major of the Army. Today’s soldier can clearly identify with the top enlisted soldier serving at the head of the noncommissioned officer support channel and we owe a debt of gratitude to General Johnson and the men who have made it possible … the Sergeants Major of the Army. 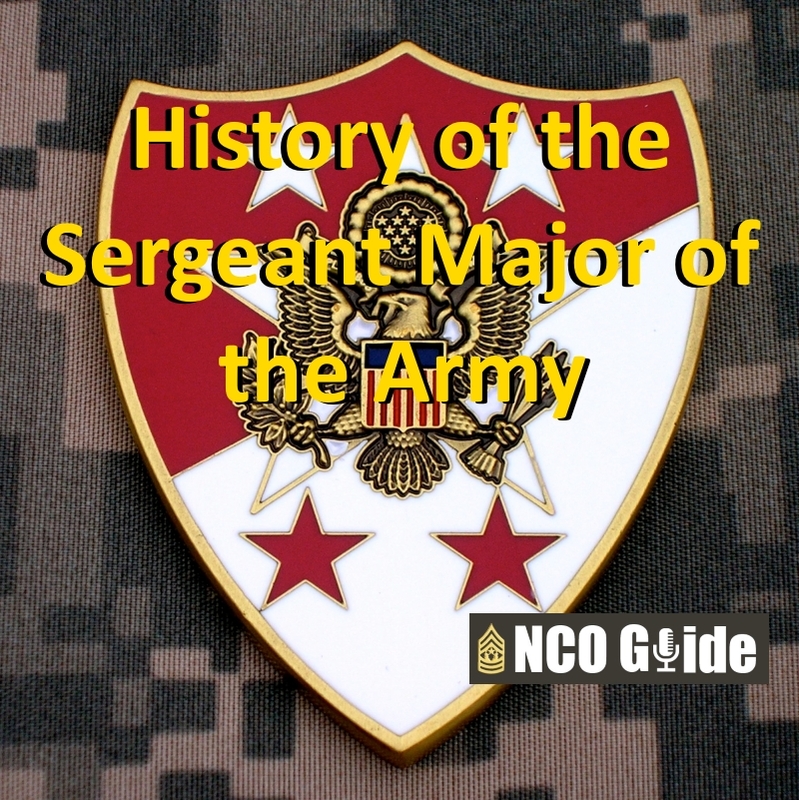 To learn more about the SMAs, read The Sergeants Major of the Army by Daniel K. Elder, Mark F. Gillespie, Glen R. Hawkins, Michael B. Kelly, Preston E. Pierce, Robert M. Mages. The book is available from the Center of Military History, Pub. 70-63, 1995, 180 pages and ONLINE here.